Do you suffer from dry, itchy feet? Is the skin on your feet red, rough, or flaky? Do you see cracks in your heels? 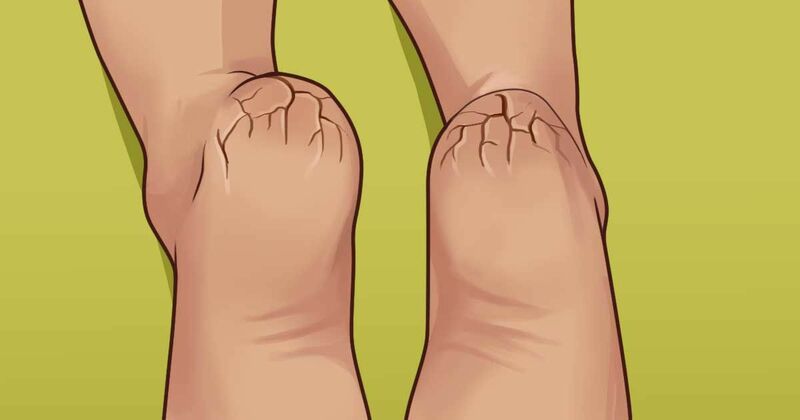 These are all common symptoms of dry feet. Unfortunately, most people suffer from this problem to some degree or another. The reason for this is because, unlike every other part of the body, skin on the feet has no oil glands. Instead, sweat glands are the only source of moisture. Sometimes these sweat glands are not enough to keep feet properly moisturized. Foot Vitals explains common causes of dry feet are non-moisturizing soaps, cold weather, low humidity, sun exposure, hot showers, and aging. Dry feet can be uncomfortable and lead to excessive itching or burning. So don't let the problem go untreated. Try these home remedies today. 1. Lemon juice. The acid in lemons helps dissolve dead skin. This is why Foot Vitals recommends soaking feet in lemon juice for ten minutes and then using a loofah to scrub your feet and remove the dry skin. 2. Olive oil. The moisturizing properties of olive oil can be a lifesaver for dry, cracked feet. Add a few drops of lavender essential oil or lemon to boost the healing effects, says Foot Vitals. Combine your chosen ingredients in a jar and then shake until a milky solution forms. Apply the homemade cream to your cracked heels. 3. Vaseline. Moisturizing is a common use of Vaseline and other petroleum jelly products. Livestrong recommends massaging Vaseline all over your feet, including the tops and between your toes. For the best effects, apply at night and sleep with cotton socks. This will better allow the Vaseline to soak into your feet. Be sure to rinse your feet in the morning. 4. Sugar. Livestrong recommends mixing a homemade exfoliating scrub made from equal parts olive oil and brown sugar. Give yourself a foot massage with the sugar scrub. Be sure to focus on the roughest part of your feet. After 10- 15 minutes, rinse your feet under cold water. 5. Honey. The natural enzymes in honey can heal your feet and help seal in moisture. This is why Livestrong recommends soaking your feet in warm water mixed with honey. After 10- 15 minutes, your feet should feel softer. 6. Milk. Rapid Home Remedies explains milk is rich in vitamin A and other nutrients that contribute to healthy, glowing skin. It also contains lactic acid, which can shed dead skin cells and promote the growth of new, healthy cells. Make a milk-based foot bath by combining 1 cup milk and 5- 7 cups warm water. 7. Sesame oil. This powerful oil contains vitamin E and three different kinds of acid. It also has anti-bacterial properties. Rapid Home Remedies recommends soaking your feet in warm water for 10 minutes and then rubbing your feet with sesame oil. It is best to apply the sesame oil nightly before bed. 8. Turmeric. This home remedy might turn your feet bright yellow, but Rapid Home Remedies promises the miraculous effects are worth the temporary color change! The home remedy is especially powerful for people whose dry feet are caused by infections like athlete's foot. Mix 3 tablespoons turmeric powder in a few drops of coconut oil and apply the solution to cracked feet. Rest for 20- 30 minutes and then wash your feet with warm water and a mild soap. Give your feet a rest! With these home remedies, your feet will be soft and healthy. How do you treat dry, cracked feet? Tell us and SHARE this article on social media!